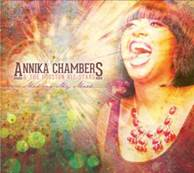 HOUSTON, TX – Montrose Records announces the signing of Houston-based blues/soul singer Annika Chambers and will release her debut album, Making My Mark, on January 14, 2014. Making My Mark will be available through CDBaby at iTunes and Amazon, as well as at the label’s website. On the new CD, Annika (pronounced “Ann-NEE-Ka”), is backed by an aggregation dubbed “The Houston All-Stars,” well-named because it boasts the talents of many Grammy winners and nominees. Heading that list is bassist Larry Fulcher, who co-produced Making My Mark along with Montrose Records owner/engineer Richard Cagle. Fulcher is a two-time Grammy winner for his work with Taj Mahal on the albums “Shoutin’ in Key” and “Senor Blues,” and has appeared on 10 of Taj’s albums. He’s also a regular member of the acclaimed Phantom Blues Band and has recorded and/or toured with such other renowned performers as Eric Clapton, Bonnie Raitt, Maria Muldaur, Willie Nelson, Ruthie Foster, Curtis Salgado, The Crusaders, Smokey Robinson and The Wailers. 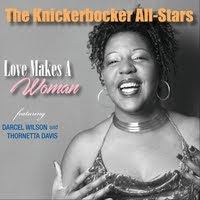 Additional Grammy winners or nominees on the recording sessions were keyboardists David Delagarza III and Skip Nalia; drummers Tony Braunagel and Samantha Banks; and trumpeter/arranger Darrell Leonard. A host of other stellar Houston musicians added their talents, including guitarists Brad Absher, Corey Stoot and David Carter; organist Barry Seelen; pianist Randy Walls; saxophonist/arranger Anthony Terry; and backing singers Nicoya Polar and Sheree Howard. 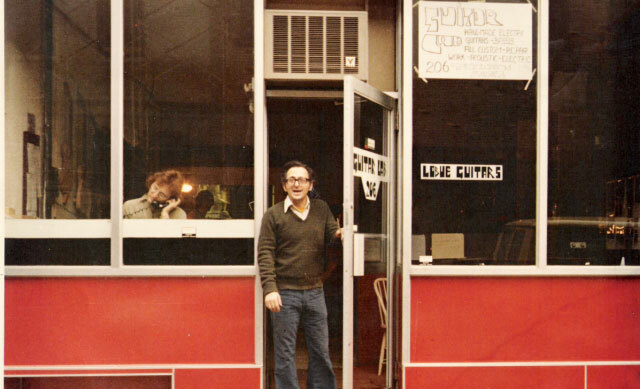 Making My Mark was mixed by six-time Grammy-winning engineer Joe McGrath. Joe Sample/Alan Gorrie (“Put It Where You Want It”), Steve Cropper/Eddie Floyd (“Love’s Sweat Sensation”) and B.B. King (“Let’s Get Down to Business”). 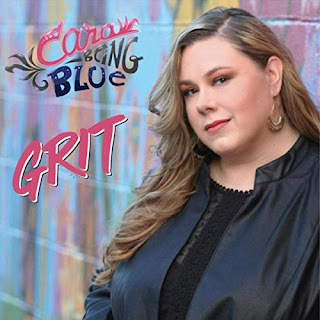 At the core of this great supporting cast are the bluesy, funky and powerful vocals of Annika Chambers, an extremely gifted singer with the drive and talent that stamps her as a rising star in the blues and soul world. With the release of Making My Mark, Annika Chambers stands as a shining example to others to follow their dreams and not settle for anything less. For more information, visit www.annikachambers.com and www.montroserecords.com.